If you’re among the many people who believe that food tastes better outdoors, then you should make a beeline for the Letterfrack-based Connemara Green Festival happening on the weekend of the 12th to the 14th of October, as it is a flagship event for Galway, West of Ireland European Region Of Gastronomy 2018, with many of the events having a ‘foodie flavour’, highlighting the wide variety of local artisan food producers in the region. The theme this year is ‘Eating for Conservation’ and the festival’s fund-raising project is to raise awareness of the conservation of the freshwater pearl mussel. The festival officially opens at 6.oopm on the Friday with a free event titled A Taste of the Forest. Starting from the Country Shop in Letterfrack village, this ramble takes in the new stages of the Atlantic View-Woodland Walk, allowing you to work up an appetite before enjoying a forest barbecue. The main festival highlight this year is a Connemara Green Feast at Pangur Ban Restaurant with chef John Walsh at 7pm on the Saturday. Enjoy a buffet showcasing local artisan food produce, including local mussels and lamb. The cost is €35.00 per person, which includes a complimentary drink and you can bring your own bottle, with all proceeds going to actions for conservation. Places are limited and can be booked ahead on the official festival website at www.connemaragreenfestival.ie. 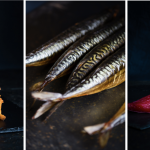 New this year is the food highlight a Passion For Taste at Artisan House, a talk and cooking demonstration with sampling of sustainable seafood by Galway chef and author Michael O’Meara on the Sunday at 1.00pm. Artisan House, Letterfrack is the publisher of Michael’s acclaimed Sea Gastronomy book. Advance booking is advised as spaces are limited via the www.artisanhouse.ie website (cost €12.00 per person). Among the many other events with an enticing foodie flavour is a Vegetarian Cookery demonstration by the president of the Vegetarian Society of Ireland, Maureen O’Sullivan. It is expected to attract big numbers at 12.00pm on the Saturday in Ellis Hall, Letterfrack, when you will get to taste Maureen’s unique take on vegetarian dishes during the two-hour event (€10.00 per person, with free entry for kids). Oysters are a regional Connemara delicacy and there is the opportunity to learn about and taste local bivalves at an Oyster Farm Tour & Oyster Tasting at 12.30pm on the Saturday at DK Connemara Oyster Farm (cost, €15 per person). 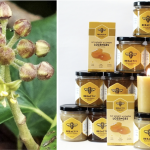 Irish heather honey is having a moment due to its associated wellness properties and delicious taste, about which you can learn more at a free Connemara Bees event happening at 3.00pm on the Saturday at the AV Centre in Connemara National Park. The festival resumes on the Sunday at 11.00am with a Herb Talk & Tasting with Terry Conroy starting from Letterfrack Lodge. This free, all-weather event culminates with herbal tea tastings and homemade lavender biscuits at Letterfrack Community Garden. The wild Atlantic coastline is the perfect spot for a Seaweed Foraging & Tasting event on the Sunday at 12.00pm led by local ecologist Marie Louise Heffernan. White Strand-Renvyle Beach car park is the meeting point and participants are expected to make a €10.00 donation towards conservation actions. An autumn Sunday spent outdoors must feature a spot of Mushroom Foraging, with this event taking place at Kylemore Abbey on the Sunday at 2.00pm (cost €10.00 per person), while a free Food From Trees walk with Brendan O’Scanaill starts at 3.00pm on the Sunday from the visitor centre in Connemara National Park. The festival closes with another food highlight in the form of the event Farm To Fork – Experience Green at Rosleague Manor at 4.00pm on the Sunday. Enjoy a walk and talk while tasting delicious bites of local produce including Rosleague Manor’s free-range Tamworth pork, Dooncastle oysters and Bernard King’s organic mountain lamb. The meeting point is Rosleague Manor car park and booking is essential for this event by phoning 095 41101 or emailing info@rosleague.com (cost €10.00 per person). The all-ages programme also includes outdoor activities, including kayaking, paddleboarding and boat trips, as well as special kids activities. Many of the activities over the weekend are free of charge and some require booking. For more details, including booking information, see the official website www.connemaragreenfestival.ie where you can also view the full 2018 programme.